Today we bring you a guest diary from Stephen Groat where he speaks about validating that IPv6 address tracking and monitoring are possible. IPv6 designers developed a technique called stateless address autoconfiguration (SLAAC) to reduce the administrative burden of managing the immense IPv6 address space. To most operating systems’ current accepted definition of SLAAC, a node’s IPv6 address’s interface identifier (IID), or host portion, is deterministic across networks. 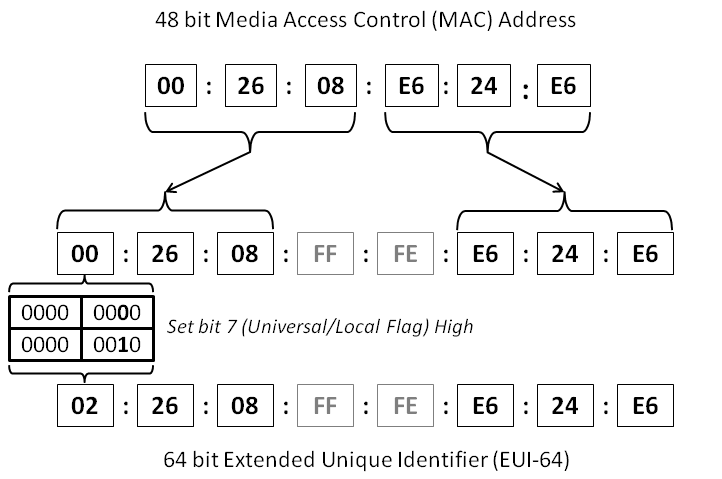 For the last 64 bits, the node automatically configures an address on the basis of its network interface’s media access control (MAC) address. Even operating systems that obscure addresses according to Request for Comments (RFC) 4941 contain a static IID used for neighbor solicitation. These static IIDs can identify a particular node, even as the node changes networks. Using Virginia Tech’s campuswide IPv6 production network, which supports more than 30,000 IPv6 nodes daily, we were able to validate that IPv6 address tracking and monitoring are possible. We tested an Android mobile device using MAC-based IIDs to form wireless IPv6 addresses. The first part of our test involved tracking the mobile device as it moved around campus. Geotemporal tracking was possible because the campus network contains different subnets that cover different geographic areas. We programmed a script that continually sent echo requests to the different subnets on campus. When we received an echo reply, we stored its time and location. Figure 1 demonstrates the results of a successful tracking attempt. The second part of our test involved traffic monitoring. Our goal was to demonstrate that we could isolate a node, regardless of subnet, and collect all of its associated network traffic. We placed a sensor at the network border to collect all IPv6 traffic leaving the network. Using a packet sniffer, we successfully filtered the traffic related to the node in question across different subnets.